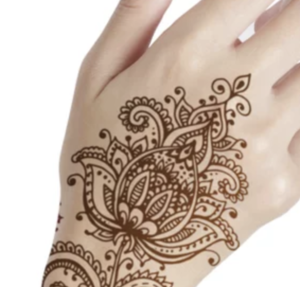 Fairfield, Conn. - Teens can learn about the history of Henna body art tattoos and then channel their inner rock star by creating one for themselves. A Fairfield Warde High School Art Honor Society member will be on hand to help teens with their creative journey. This program is offered twice – Tuesday, July 24 and Thursday, July 26, both from 2:00 to 3:30 pm in the Teen Room at Fairfield Public Library, 1080 Old Post Road. For teens and tweens entering grades 6 and up. Registration is requested. If you haven’t already, sign up for this year’s “Libraries Rock!” Teen Summer Challenge. The Summer Challenge is an online game that gives teens a chance to win prizes by reading books, watching movies, listening to music, or attending Library events. Do any of these activities and post a short review on our Summer Challenge blog to qualify for prizes. Sign up any time by visiting the Teen page on the Library’s website. All programs at the Fairfield Public Library are free. To register or for more information, visit us online at: fairfieldpubliclibrary.org, or call 203-256-3160. Follow the Fairfield Public Library on Twitter @fairfieldpublib and Facebook @fairfieldlibrary.